A Unique Piece of Jewelry for a Guy? 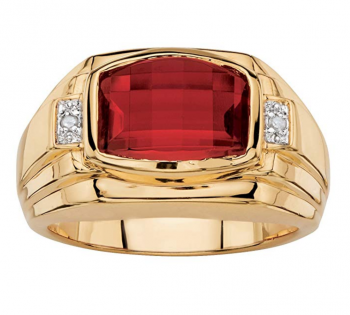 Check These 10 Men’s Ruby Rings! Jewelry for men is a trend that seems to shrink and grow repetitively throughout time. Right now, it seems like popularity for men’s jewelry is definitely growing! There is no reason that a man can’t accessorize just a well as a woman. 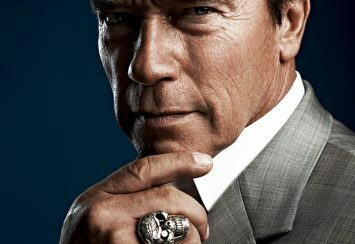 In fact, men that choose to wear jewelry have a unique opportunity to display their masculinity in a strong and secure way that shows confidence and maturity. 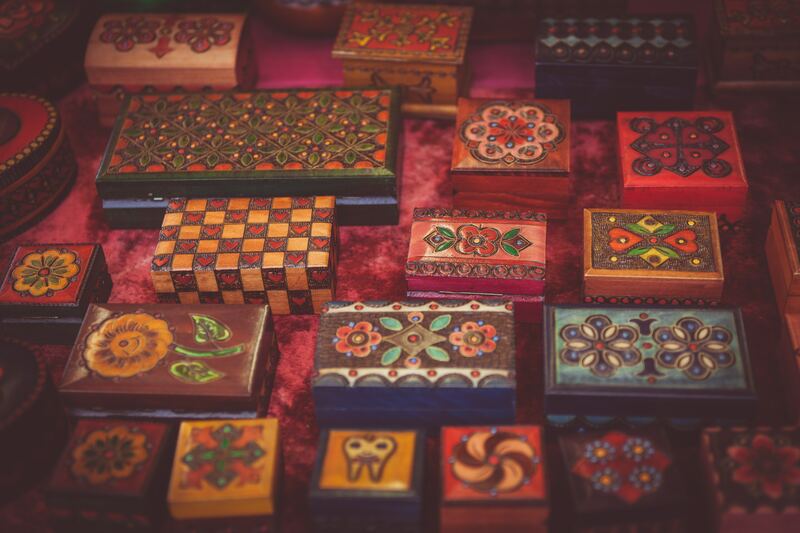 One unfortunate truth, however, is that men have less selection than women when it comes to jewelry. So, if you are a man looking for something more unique or if you’re shopping for a man in your life but what to avoid anything too common, ruby rings can be a great option! 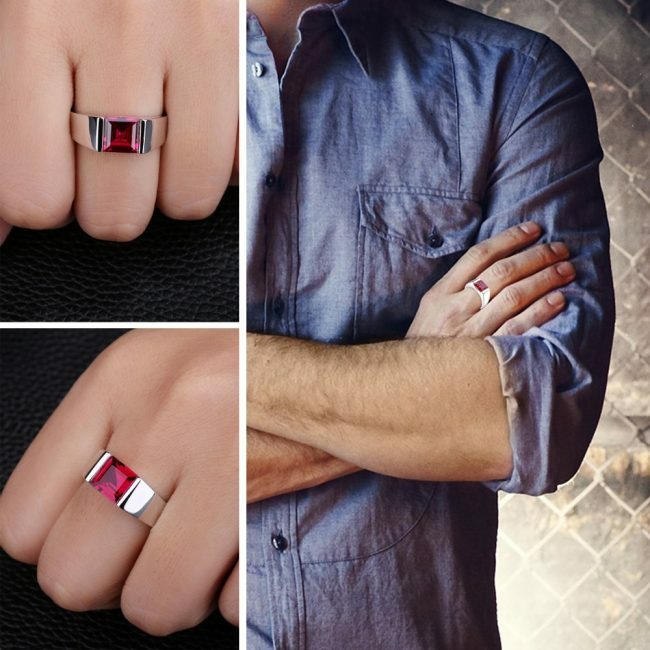 Check out these incredible ruby rings for men below! 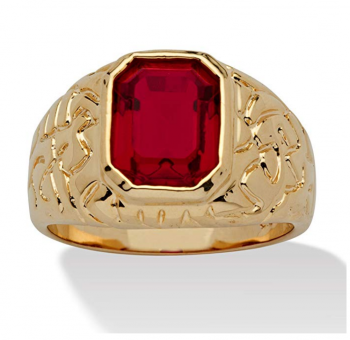 From Palm Beach Jewelry comes our first favorite ruby ring for a guy! This piece is fairly broad at 9.5mm wide. 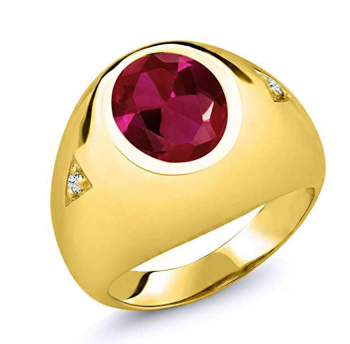 The design of this men’s ruby ring is simple, yet incredibly strong. The ring starts broad up at the top and gets slightly thinner as it goes down towards the bottom of the finger. However, even the thinnest part of the ring stays broad enough to give that really manly feel all around. A lovely 14k yellow-gold plating has been placed on the ring for a stunningly bright and bold appearance. The nugget-style band utilizes small channels carved into the metal band to create a nugget-like appearance in the gold plating of the band. This gives it a great textured look without taking away from the beautiful ruby in the center. The ruby is a simulated ruby. This maintains the deep, bright look of the ruby without costing a ton. 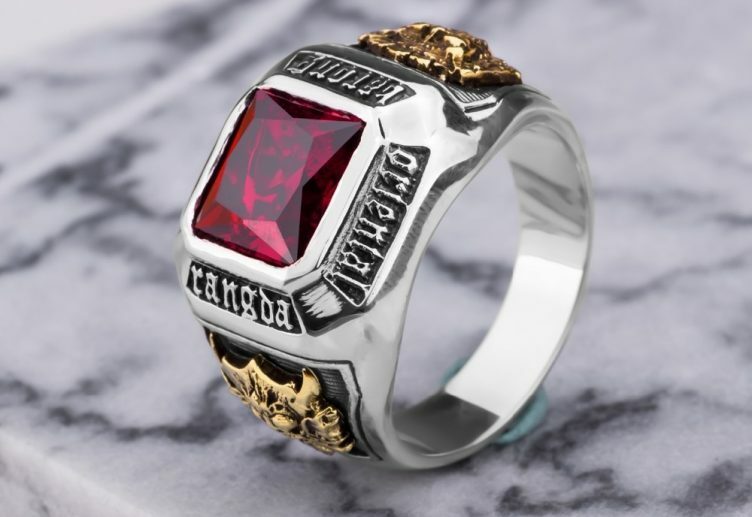 Speaking of price, this ring is very affordable as far as ruby rings go and it would be difficult to find another option this cheap that actually stands up to the quality of this piece. The simulated red ruby features a great emerald cut with strong yet smooth corners and sides that further add to the manly look of this ring. Raised gold all around the edges of the emerald-cut simulated ruby help to accentuate the beauty of the stone perfectly while hiding all mounting gear for a smoother overall look. This Palm Beach Jewelry piece comes in men’s sizes 8 through 16 for some good variety that should fit most men very well. Overall, this gemstone has a very classic look that will work well with almost any style and wardrobe. If you’re looking for a great option on a tight budget, this option features quality materials and highly stylish design for a classic look that anyone can afford. Gem Stone King is an amazing company that has been making beautiful and affordable quality jewelry since 1903. This lovely ring from Gem Stone King brings together classic design with modern style for an elegant and masculine look perfect for any man. It features a rounded appearance that is smooth and stylish. It curves up from and around the finger perfectly. 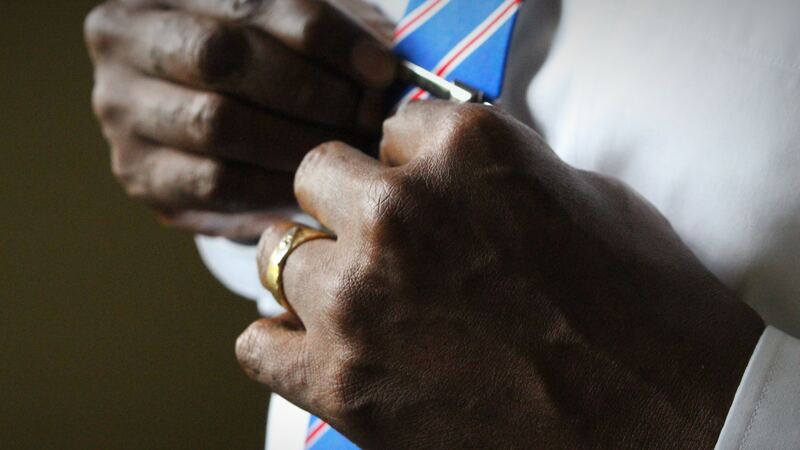 The classic look of this ring is another option that will work great for almost any man’s wardrobe and style. At the center, a large lab-created ruby is inlaid perfectly. The ruby is an impressive size at just over 5 carats. The gemstone features a round cut that is multi-faceted for a beautiful shine from any direction. On either side of the ruby down the band a bit, there is a small upside-down triangle cut-out. Inside these triangle cut-outs, there is a small cubic zirconia stone mounted. These little cubic zirconia stones have a brilliant and clean look to them that lends the perfect accent to the stunning piece. The ring itself is made of strong 925 sterling silver. This sterling silver is the perfect balance of mostly pure silver with just a small addition of extra alloys for increased durability and strength. On top of the silver base, this ring is plated with 18k yellow gold. This further adds to the classic quality look of this men’s ruby piece. It is available in men’s sizes 7 through 13. 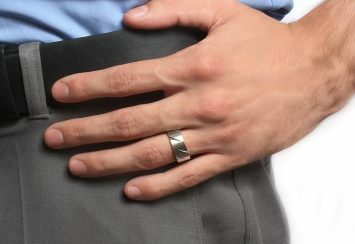 This is just a slightly smaller range than the first ring we mentioned but should still do well for most men. The price is also a bit higher on this option. This is due to the 18k yellow gold as opposed to 14k and, of course, the real lab-created ruby opposed to a simulated one. Even though it isn’t our most affordable pick, this ring is actually close to unbeatable for the price when it comes to the quality materials used in it. 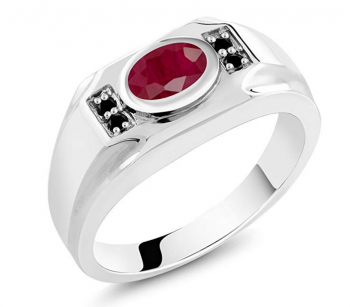 Here is an entirely different look for a men’s ruby ring! This ring is from UOKOHO and is made of a strong mixture of titanium and stainless steel. 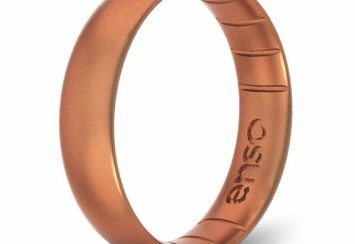 This allows the ring to remain incredibly affordable as one of the least expensive option for men that we came across while also being very durable and long-lasting. The ruby itself is actually a cubic zirconia ruby with a square princess cut that gives it a brilliant shine unlike any other and from all angles. What is more unique about this piece is the band. The inside of the band is nice and smooth for maximum comfort. The outside of the band, however, appears to be made up of individual squared panels that line up and go around to create the band. At each corner of each panel, the metal of the ring curls out a bit to create stunning detailed accents all around it. These curling accents are even on the center panel of the ring that houses the cubic zirconia red ruby. Within the other panels of the ring, a thin criss-cross pattern adds even more sophisticated detail. In the center of each panel along the sides, there is a bright shining metal cross that lies above the criss-cross pattern. This allows the wearer to subtly display his spirituality in a strong and proud way. They can also serve as a personal reminder of one’s faith. Matte black coloring throughout the ring contrasts amazingly with the silvery polishing of the rest of the ring. Available in sizes 7 through 14, you can choose a size that should fit almost any man. This is a lovely, inexpensive piece of men’s jewelry that will stand up great to wear and tear over time. This large piece from Babylon Silver is amazingly ornate and unique. 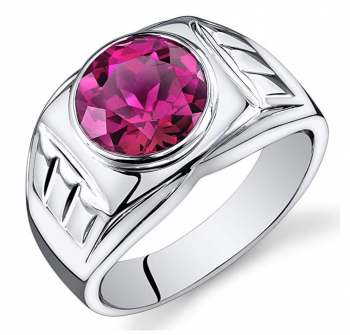 The synthetic ruby at the center of the ring is massive, which attracts attention perfectly. The oval shape and multi-faceted design help keep it shining wonderfully from all directions. Instead of the stone being directly inlaid or mounted to a band, this ring works a good bit differently. The synthetic ruby is inlaid into a large plate of metal with a slightly bronze look to it. This goes incredibly well with the deep red ruby color. This piece of metal that houses the synthetic ruby is then mounted between two separate bands of sterling silver. These sterling silver bands start as one at the base or bottom of the ring and then split up the sides and fan out towards the top to hold the metal plate. Rounded silver balls help mount the metal plate into place at the top center of the ring. 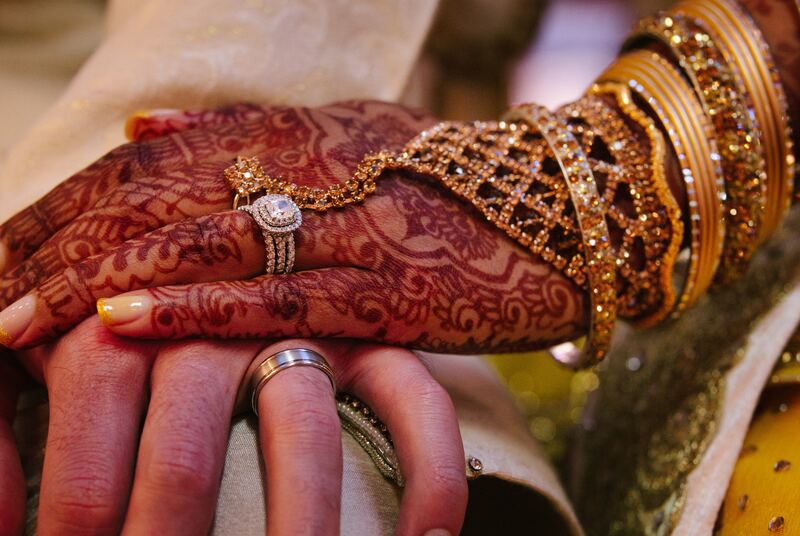 Each of the bands is beautifully decorated with intricate details. The silver in the center of the bands has a careful look of braided cord. Then on the outside edges of each band, tiny notches line the entire ring on all sides. In-between the two bands, on either side of the synthetic ruby, there are lines and curves of silver that swirl together to create more beautiful details. The sterling silver of this ruby ring is also made of 925 sterling silver for a perfect combination of strength and beauty. Inside the creases of all the details on the ring’s bands, a layer of matte black rests. All of the raised parts of the bands are that stunning polished silver color that looks even brighter and shinier with the contrast of the black. There is one more incredible thing about this amazing and very affordable option – you can choose a customized size free of charge. You can actually get this ring in any size you need including half sizes and even quarter sizes. 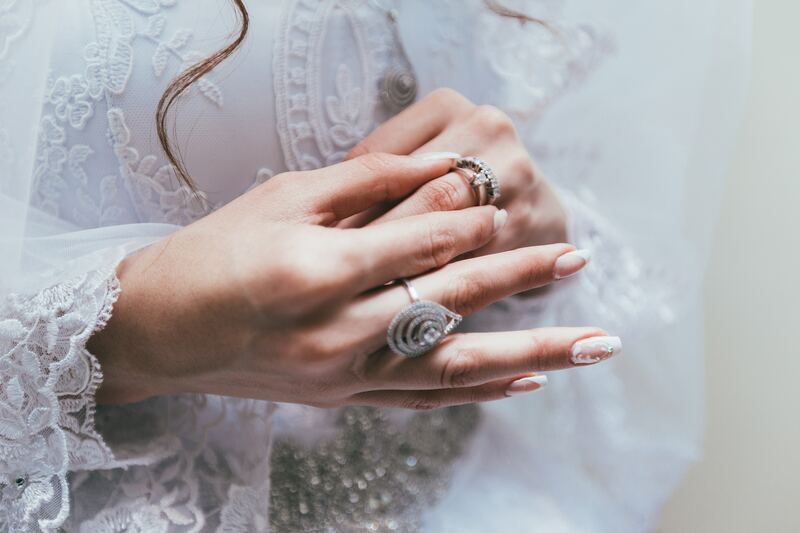 The company will customize your ring to the exact size you need for free! 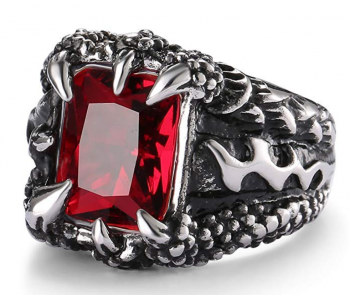 This gothic-style dragon ring is perfect for any man with a somewhat darker style that is looking for something very rough and rugged. 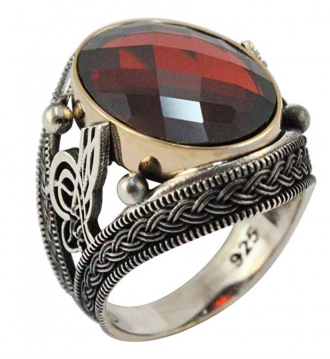 It is made to look like dragon claws are holding the stunning stone in place on the ring. This makes this a very manly piece that is unique and even just a bit fun. It can definitely act as an excellent conversation starter piece! It is made of 316L stainless steel. What that means is simply that is made from a very strong version of stainless steel that is superior at resisting things like corrosion. With these materials, this men’s ring will stand the test of time with no issues at all while also looking absolutely amazing. The inside of the band of this ring is nice and smooth against your finger. The outside of the ring, though, is anything but smooth. Along the band, rows of various textures line up against each other. Some rows feature rough zig-zag designs while others have strong scales or thick bumps all over. Altogether, this creates that amazing dragon look and feel. Just like with some of our other favorite ruby rings for men, this option does have the matte black look inside all of the crevices. This gives a stark contrast to the polished silvery parts of the ring and it all goes wonderfully together. All around the stone the bumps grow into dragon fingers with long-reaching claws of various widths and lengths. They all wrap around the stone to provide the perfect mounting pieces. The varying lengths and diameter help to make them look better and more fit for the theme of the ring. The stone itself that is held in by these clever dragon claws is a created synthetic ruby that features an elongated version of the princess cut for a beautiful and unique addition to the overall look of this awesome dragon ring! Perfect for a man with a more modern style, this Peora piece is shiny and strapping. It comes in about mid-priced for what it is. The stone in this ring is another created ruby. This helps keep the price down while still holding onto that bold and gorgeous ruby appearance. The ruby features a round-cut that sparkles amazingly in almost any lighting. At about 5.5 carats, this is a huge created ruby that easily turns heads. It measures 10mm across, so it is very broad. Surrounding the stone is a smooth, raised halo of silver. Beyond that, the band of the ring juts straight out each side for just a moment before angling out and then curving all around the finger. On the angled section of the ring’s band, a raised surface is broken up by smooth and straight channels that have been artistically cut into the metal. This creates a subtle texture that gives additional detail without taking anything away from the created ruby stone. The metal of the ring is 925 sterling silver. The sterling silver that makes up the band is also specially plated in rhodium. This gives it an amazingly strong and durable finish that shines beautifully. The band is nice and wide. At the center of the top of the band, the sides curve slightly inward to a subtle point that faces the created ruby. While this choice is a little pricier, it does feature the real lab-created ruby opposed to a simulated version. It is available in men’s sizes 8, 9, 10, 11, 12, and 13. 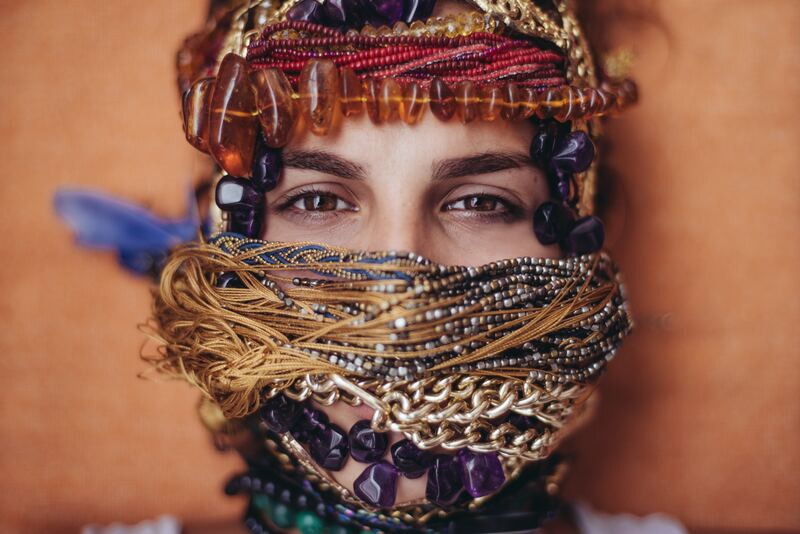 It even comes with a certificate of authenticity that outlines the parameters used to define the various types of materials used within Peora’s jewelry – including for this piece of course. Overall, this is a bright, clean-cut looking ring that is perfect for showing off masculinity in a bold and sophisticated way. Elegant meets manly in a stunning way with this gorgeous Palm Beach Jewelry pick! This option is a bold yet simple piece of jewelry that looks incredible on a man. The broad width and thick top of this ring help give it that perfect masculine look. The ring is plated with brilliant 18k yellow gold that shines beautifully across the details of the ring. Right at the very center top a cushion-cut ruby stone is perfectly inlaid. The ruby is simulated making this a very affordable option. The size of the simulated ruby is pretty large at just over 2 carats. The cushion-cut with rounded corners really adds even more to the masculine look we were talking about with this ring. The ruby is surrounded by a smooth frame of the 18k yellow gold. The gold cascades down the sides of the ring layer by layer in a perfect staircase pattern. This creates a nice fan look on the sides of the band as the layers seem to fan out from the center. One step down, on either side of the simulated red ruby, there is a small rectangular cut-out section in the ring. Within these rectangular cut-outs, a small section of shining silver surrounds a lovely little natural white diamond. They provide the perfect contrast to the bright red of the simulated ruby! Even with these real natural diamonds, the ring still manages to stay very affordable for most budgets out there. 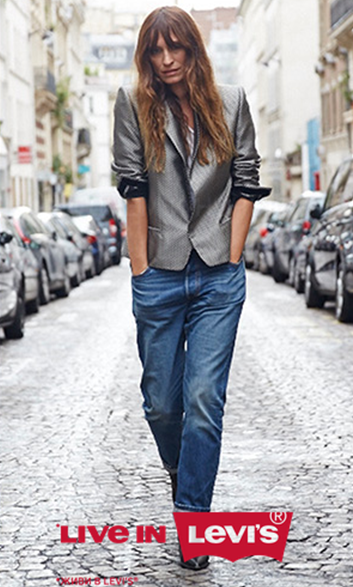 The flat, smooth sides pull together this classic look amazingly well. Next up, this Dazzling Rock Collection ring is perfect for anyone looking for a really high-end men’s jewelry piece that is sophisticated and timeless. What is so cool about it is that it is all real and genuine. 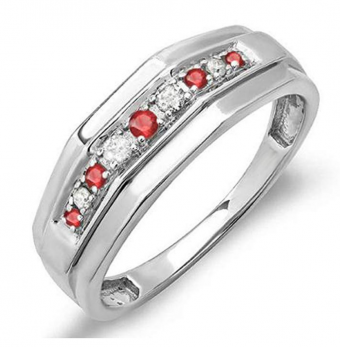 The rubies, the diamonds, and even the solid sterling silver all help to increase the value of it. The ring is a consistent medium width across the top and then just slightly thinner around the bottom. On the inside the entire band is a smooth circle. However, on the top outside there are angled sections that come together to help create a manlier look. In the center of the top the silver creates a step up from the rest of the ring where a row of beautiful stones is inlaid across the entire top of the ring. The stones alternate between real natural rubies and real natural diamonds with the largest ruby being placed right at the center of the row. Silver mounting prongs within the inlay hold the rubies and diamonds in place perfectly while also adding a little extra texture to the look. Since it is actually made of real diamonds, real rubies, and solid sterling silver, it is definitely one of our most expensive picks. It might not work for just any budget, but if you’re looking for something more genuine and high-end, this is a perfect choice. This would especially make a great anniversary gift to the man in your life! It comes in sizes 8 through 12 and that includes even half sizes. This helps guarantee a more custom fit for better comfort and to ensure the ring stays securely in place on his finger! Another choice from Gem Stone King is this handsome piece that is also more high-end. This is a really great high-quality option that has a bolder and more modern look to it. Right at the center, you’ll see a genuine natural ruby in a stunning, multi-faceted oval cut that shines wonderfully from all angles. This natural ruby is the largest natural ruby that you’ll find on our entire list of picks at just under 2 carats. The ruby is surrounded by a perfect frame of solid sterling silver, which also makes up the entire band. 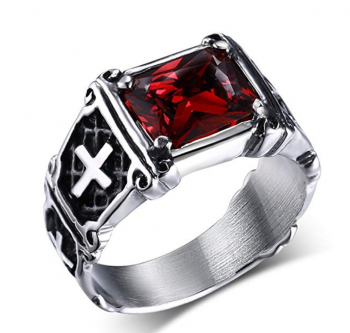 On each side of the silver framing the ruby, there is a small rectangular cut-out in the ring. Within each cut-out section, 2 small, natural black diamonds are mounted. This makes for a total of 4 natural black diamonds in the design. The black diamonds are mounted in a way that puts each one of the diamonds at an equal distance from the oval-cut ruby in the center of the ring. Both the red ruby and the black diamonds stand out dramatically from the bright sterling silver surrounding them. From where the stones are mounted, a rectangular shape steps down into smooth curves that cascade down into the band of the ring for simple and elegant detail. The solid sterling silver is 925 meaning that it is superiorly strong while maintaining that beautiful pure silver appearance. This piece is available in a wide variety of sizes ranging from size 7 to size 13. A lifetime warranty means that you can really trust that this brand stands behind their products for quality and longevity. Of course, with a large natural ruby, natural black diamonds, and solid sterling silver, this is the priciest ring of all our picks. Another unique and modern option from Gem Stone King is this stunning piece. It has a simple and minimalistic look to it with just the perfect amount of eye-catching detail. 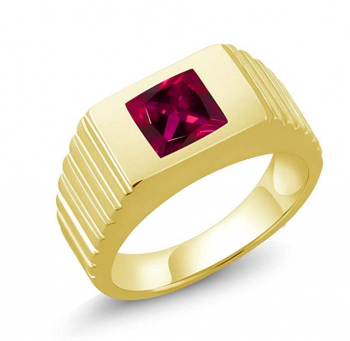 A very strong and refined look define this men’s ruby ring. The metal is the 925 sterling silver, but it is also plated with rich 18k yellow gold that gives it a warm feel. The wide and smooth band wraps around the finger in a way that creates a comfortable fit making it easy to even forget you’re wearing it in the first place. The closer you get to the top the thicker that the band becomes. The very top center is made with a well-defined rectangular shape. In the very center of this golden rectangle, there is a stunning lab-created red ruby that has been inlaid smoothly for a seamless design. The ruby features a princess-cut. This cut is a multi-faceted square cut that glistens gorgeously in almost all lighting. The square matches well with the sharp design of the surrounding gold rectangle as well. As the band curves down and out from the rectangle, you’ll find small, clean-cut notches along the upper sides of the ring. This gives it a really nice detail that creates an almost staircase-like appearance. Choose this piece in sizes 8 through 12 to fit most men nicely. Since it features a lab-created ruby, it is mid-priced on our list. It can be a great choice as a very nice gift without having to have a huge budget. It even also comes with the Gem Stone King lifetime guarantee! Rubies can be a really excellent choice for a man for a few reasons. First of all, the deep red hues associated with rubies are strong and robust. When utilized well within a great piece of jewelry, a ruby can be one of the most masculine gemstones out there. In fact, they have long been considered a gemstone for kings. Rubies are often associated with power and wealth. They’ve even been thought by legend to help bring more wealth to their owners. One more cool fact that makes them excellent for men is that they are considered to be stones of protection. They are thought to bring safety and protection over the wearers – especially when worn on the left side of the body. This protection can even extend out and allow the man to better perform the traditional role of protector. Whether you believe the lore or not, rubies are undoubtedly a very strong-looking gemstone that help accentuate a man’s natural strength and masculinity in a confident and sophisticated way. Men Men Jewelry Trends 2016 – What Will Our Men Wear This Year?